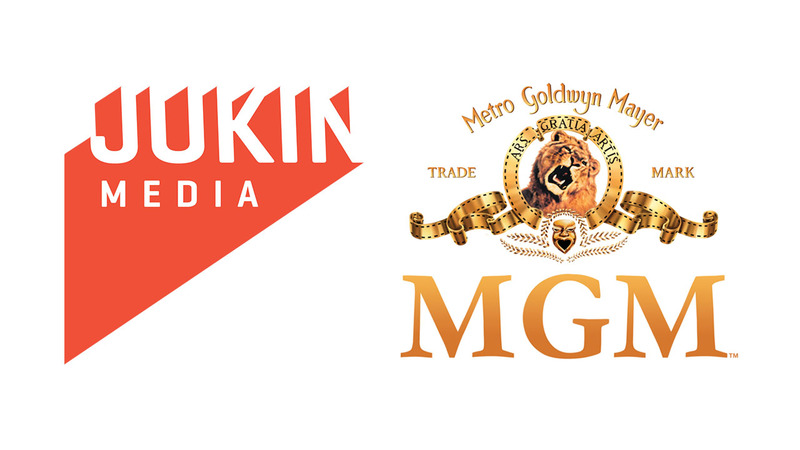 LOS ANGELES, Calif. (March 7, 2017) – MGM Television and Jukin Media have entered into a co-production pact to collaborate on a number of unscripted original series for network, cable and premium SVOD. Primarily the companies will create, develop, and produce new competition-formatted programs utilizing user-generated video content (UGC). Jukin Media was founded on the belief that the future of storytelling is user generated. Accordingly, Jukin utilizes compelling user-generated video from across the globe in the creation of long- and short-form programming as well as advertisements and branded content. Jukin is also owner/ operator of social video franchises FailArmy, People Are Awesome, The Pet Collective, and JukinVideo, which feature UGC-related programming and together boast more than 55 million fans online. MGM Television, with its proven track record of building successful unscripted franchises (Survivor, Shark Tank, The Voice) will work in collaboration with Jukin to develop series that feature user generated content (UGC), but are a departure from the standard clip show. Initial concepts will focus on competitions, game shows and talent shows that are infused with user-generated video. MGM TV continues their foray into multiplatform content as they recently announced they are heading into production this summer on the music-based competition series BEAT SHAZAM with Jamie Foxx as the host. "The projects we are developing together break away from the traditional clip show format and offer something disruptive and fun for fans of UGC,” said Barry Poznick, President of Unscripted Television, MGM." “With their top notch track record for producing innovative formats, MGM is the perfect partner for us to take our massive library and continue to push the envelope for how user footage can be woven into the fabric of a series,” said Josh Entman, Co-Founder and Chief Development Officer, Jukin Media. Jukin Media has executive produced such series as FailArmy (MTV2), Now That’s Funny! (Viacom International), World’s Funniest (FOX), Awesome Pet Thoughts (Comcast’s Watchable), and Fail Five (Verizon’s Go90). MGM Television is a leading producer and global distributor of premium content for television and digital platforms, with distribution rights to original productions and a robust catalog of television episodes and feature film titles including such premiere entertainment franchises as James Bond, Rocky, Stargate and “The Hobbit” trilogy. Current scripted and unscripted multi-platform projects include “Fargo” (FX); “Vikings” (HISTORY); “The Handmaid’s Tale” (Hulu); “Get Shorty” (EPIX); "The Voice" (NBC); "Survivor" (CBS); “Shark Tank” (ABC); “Beyond the Tank" (ABC); "The New Celebrity Apprentice" (NBC); “Teen Wolf” (MTV); “500 Questions” (ABC); "The People's Choice Awards” (CBS); Steve Harvey’s Funderdome” (ABC); “Beat Shazam” (FOX); “Lucha Underground” (The El Rey Network). Through its finance and distribution entity, Orion TV Productions, the syndicated courtroom series “Lauren Lake’s Paternity Court” is currently airing its fourth season. MGM’s television programming regularly airs in more than 70 countries worldwide. For more information, visit www.mgm.com. Jukin Media is a global entertainment company powered by user­-generated video content. Jukin provides a wide range of licensing and clearance solutions that allow premium brands, publishers, and media networks, to commercially utilize user­-generated video content. Jukin produces original content for TV, the web, and emerging platforms, and is owner/ operator of a portfolio of social video properties that includes FailArmy, People Are Awesome, The Pet Collective, and JukinVideo; the properties combine for more than 55 million fans online and 1.5 billion monthly video views. For more information, visit http://jukinmedia.com.